With the new Motor Interface Module (MiM), it’s now possible to use a USB to TTL Serial Cable to allow computer control of the SCK kits. 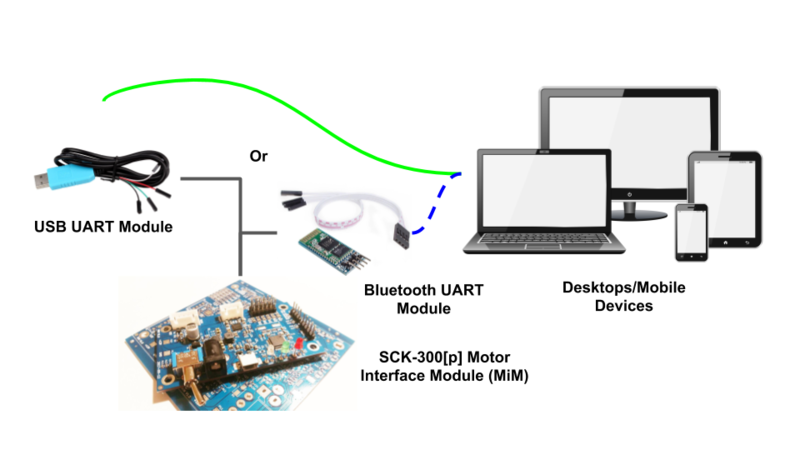 You can also use a Serial Bluetooth Module to make wireless connections from Bluetooth enabled PC and mobile devices. Download the Instructions (Instructions for Older SCK-200[p]) for more information, including list of control commands. Once a connection is established to the MiM, then simple control programs can be written is various languages (Python, .Net, Java etc…) which support serial port communications.